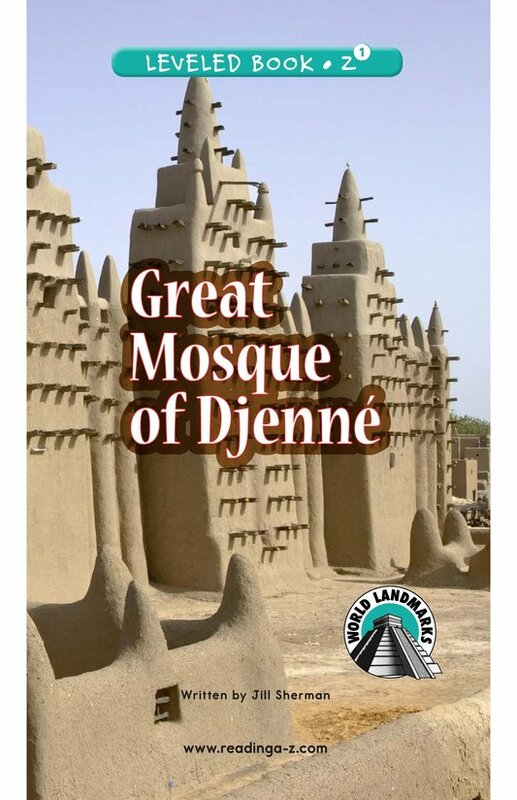 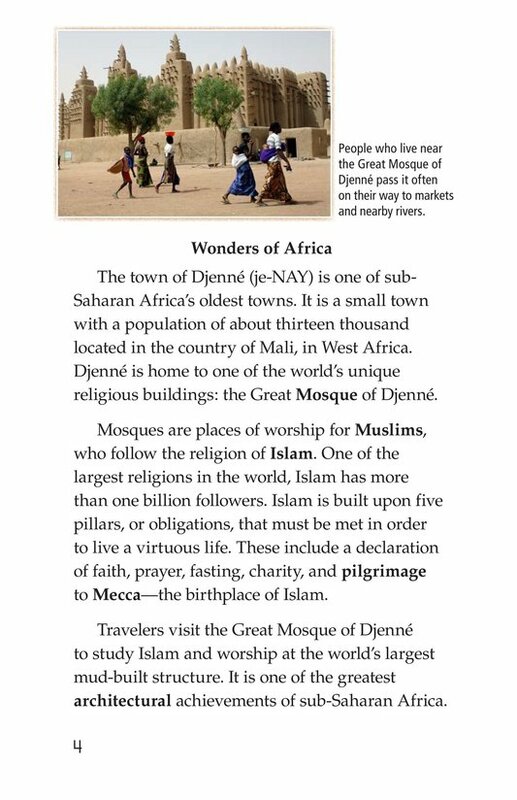 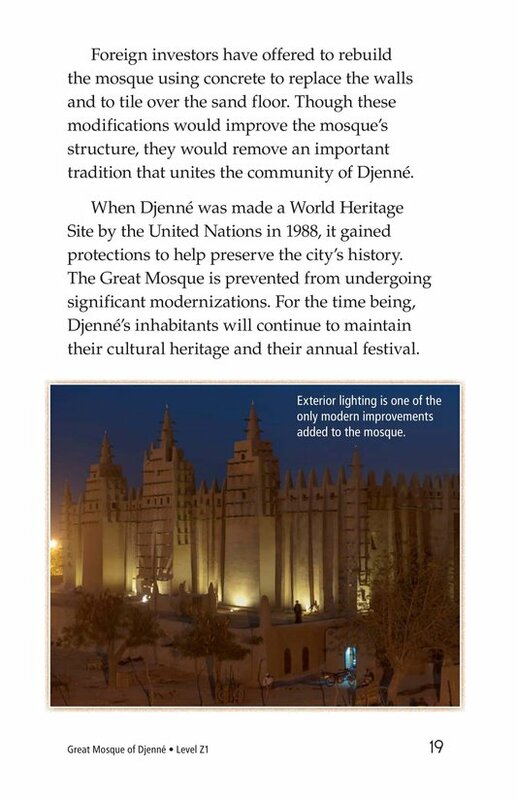 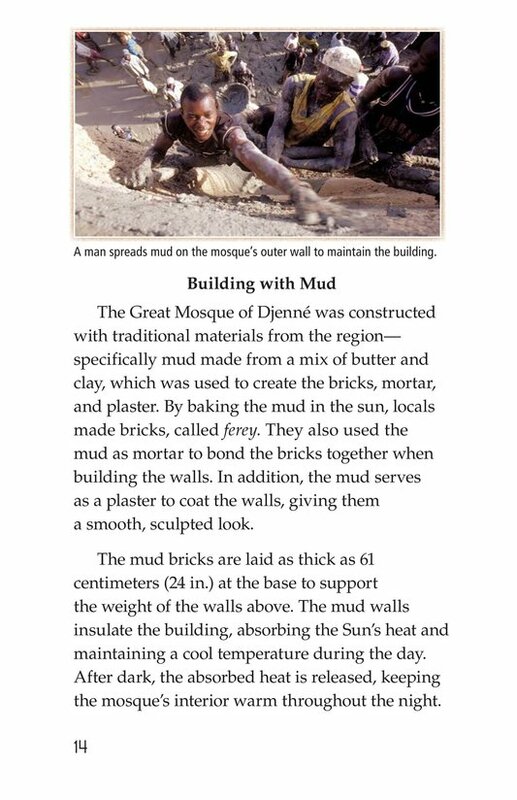 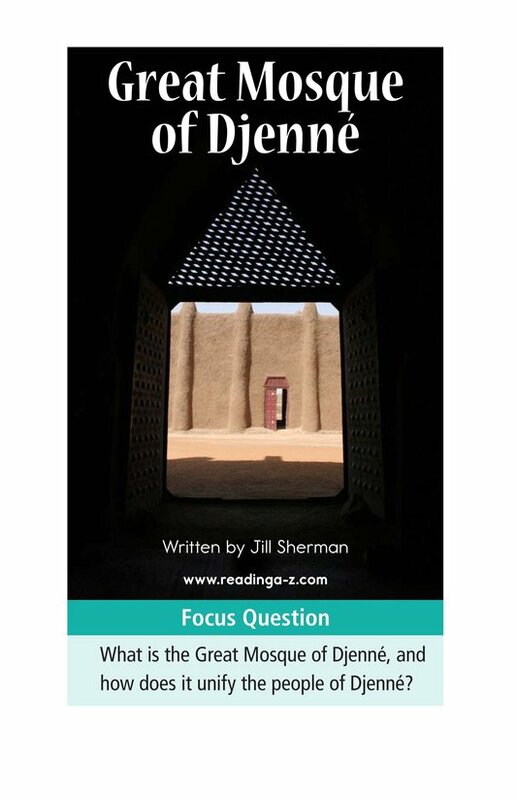 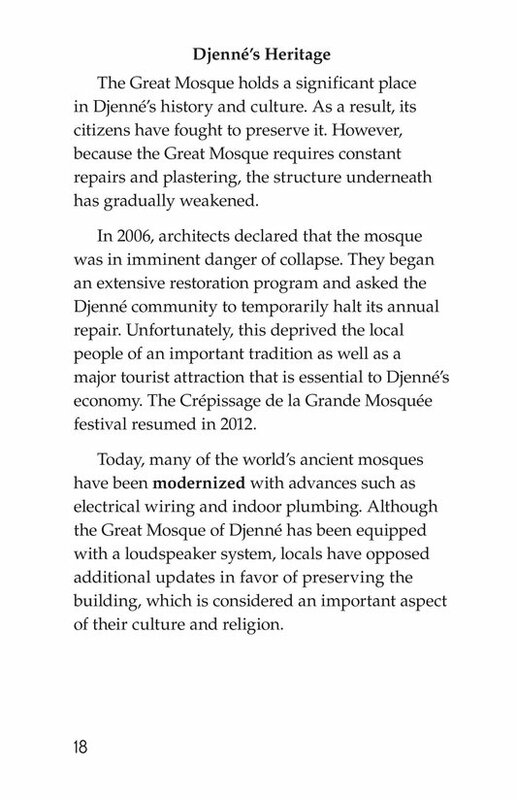 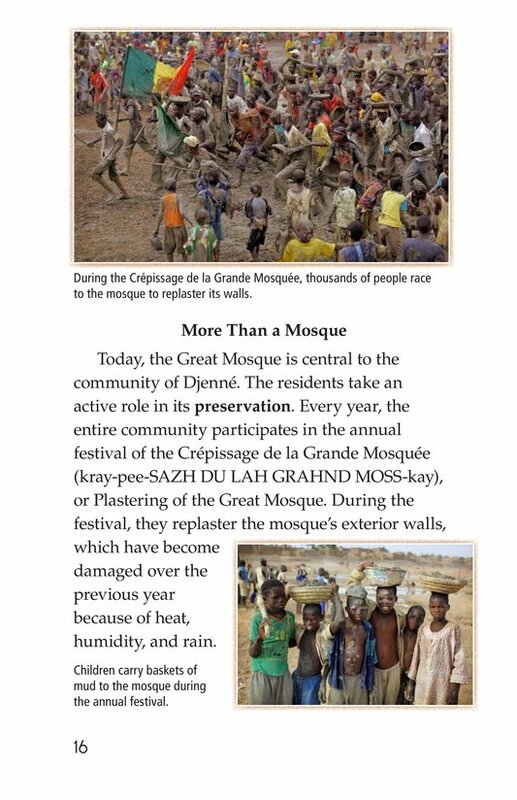 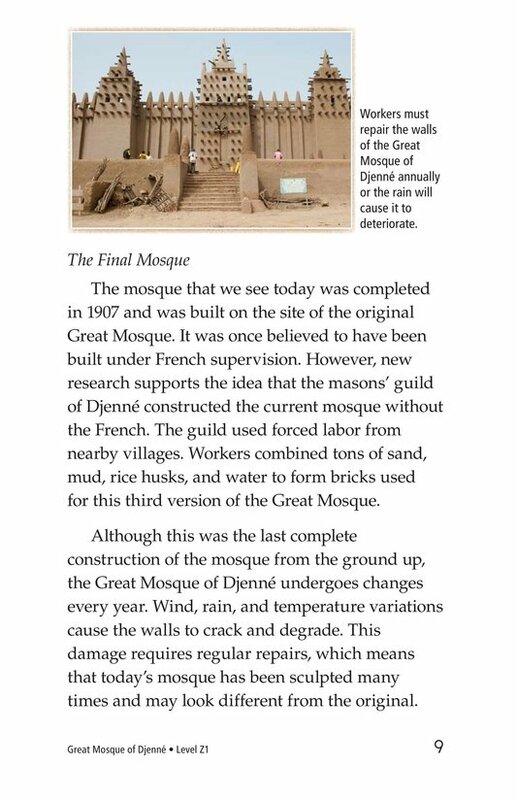 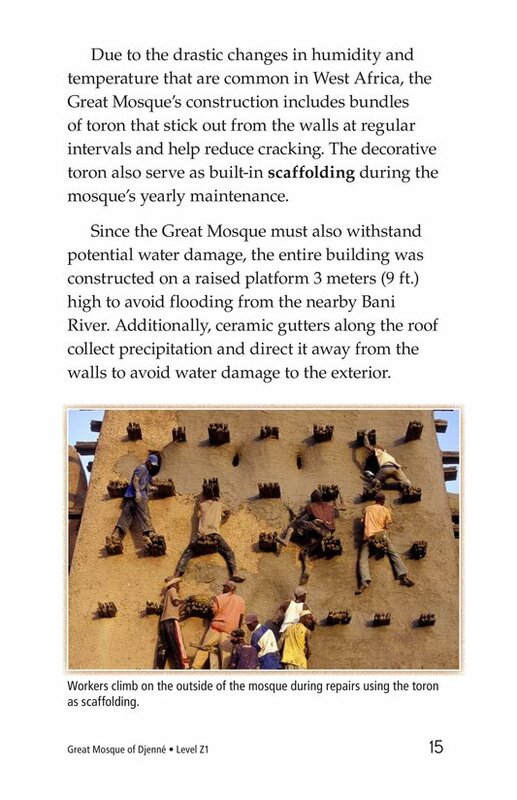 Made entirely of mud brick, the Great Mosque of Djenné is one-of-a-kind. 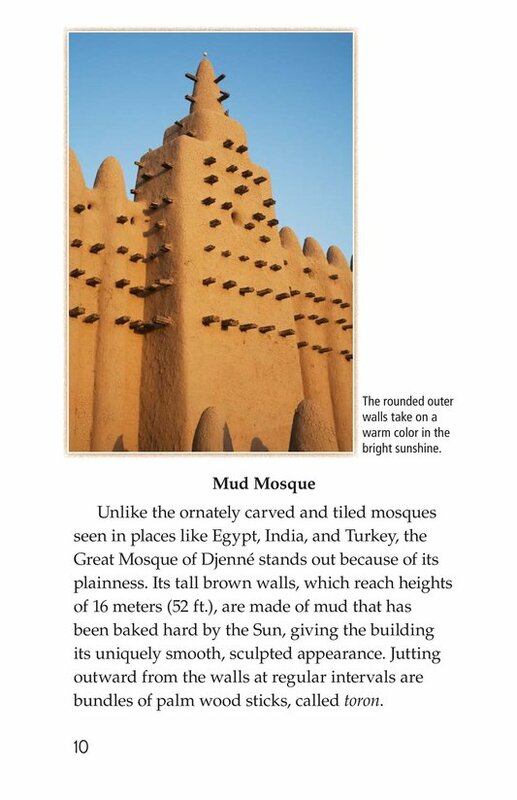 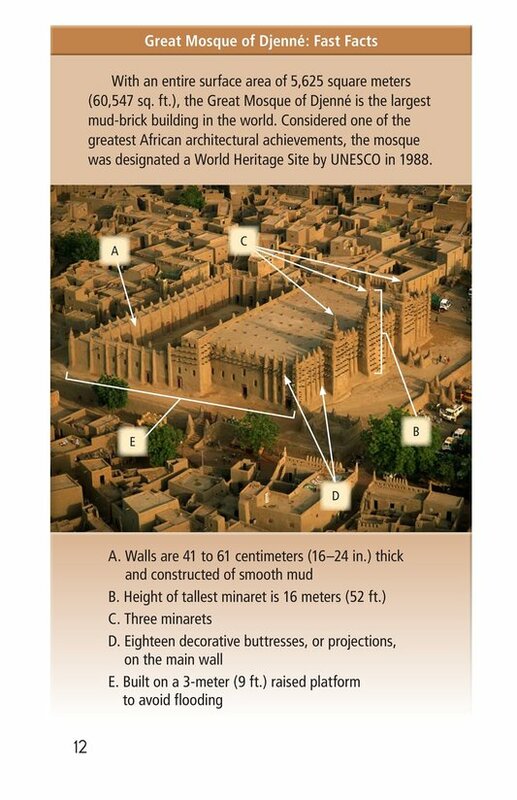 Not only is it unique, but It is also the largest mud-built structure in the world. 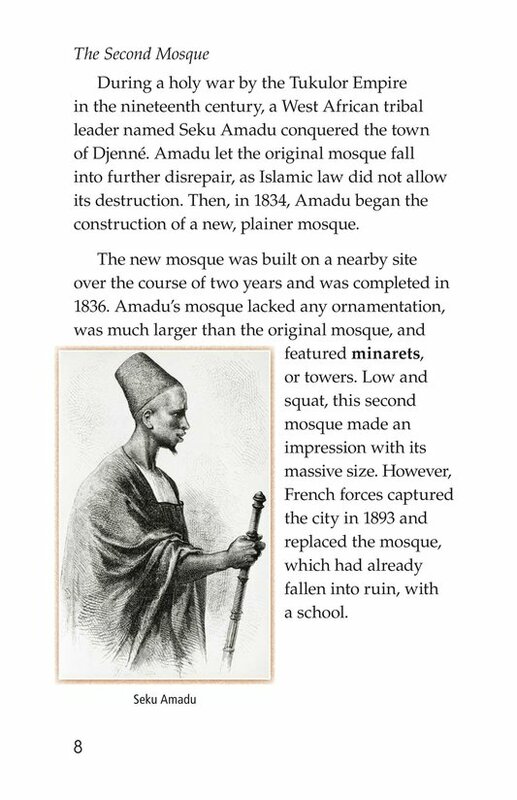 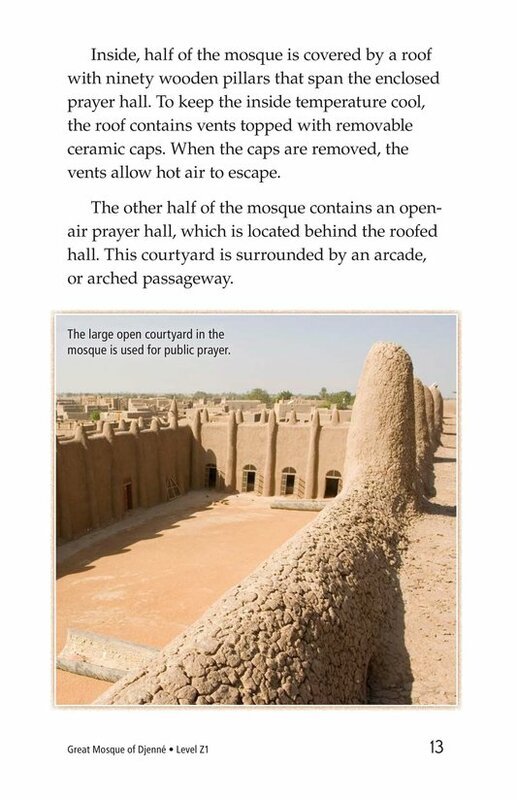 Located in Mali in West Africa, the history of the mosque dates back centuries, and has been completely rebuilt three times over its lifetime. 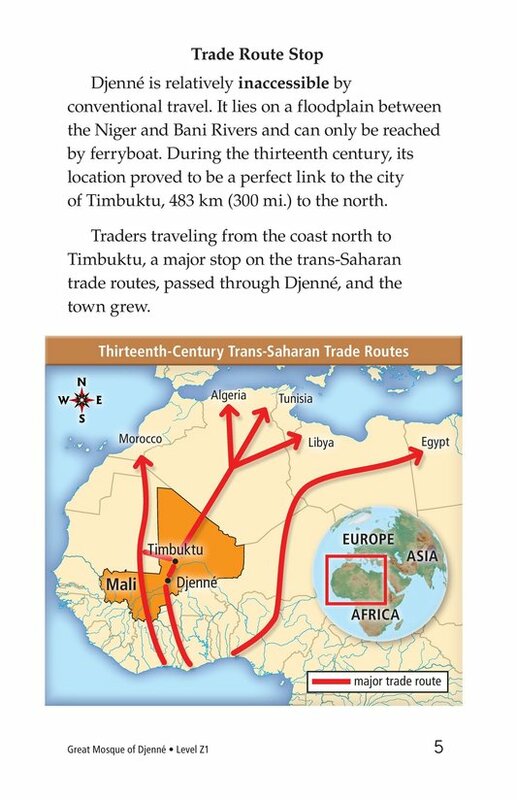 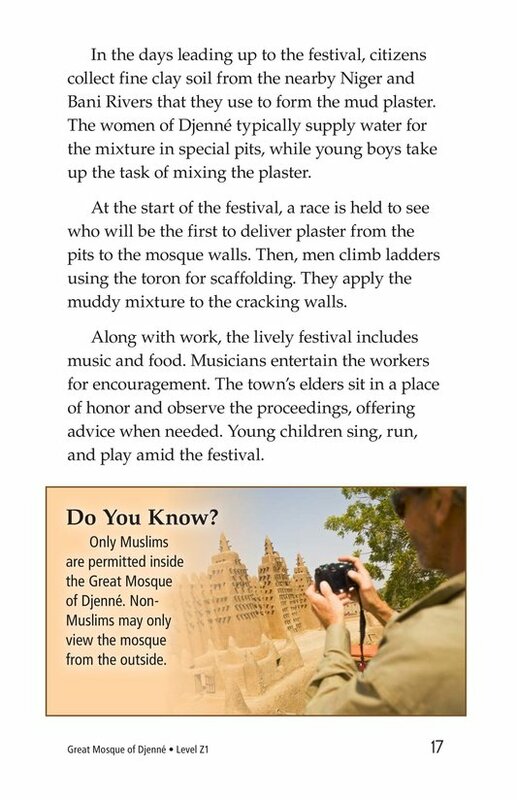 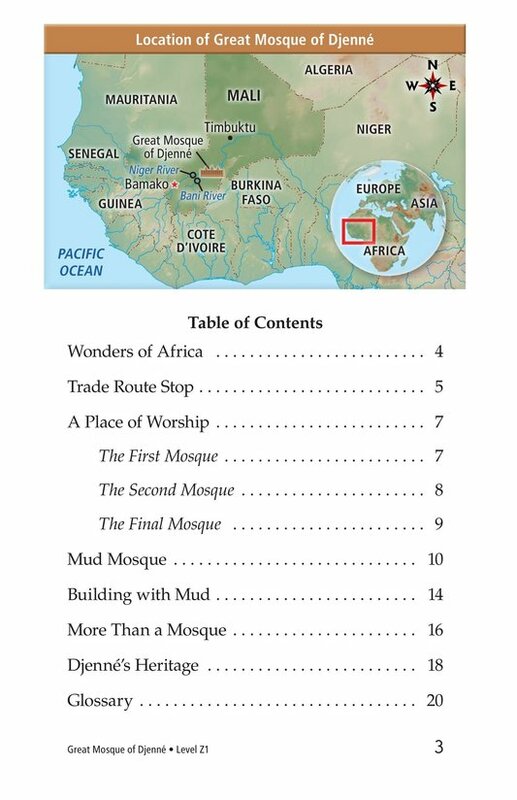 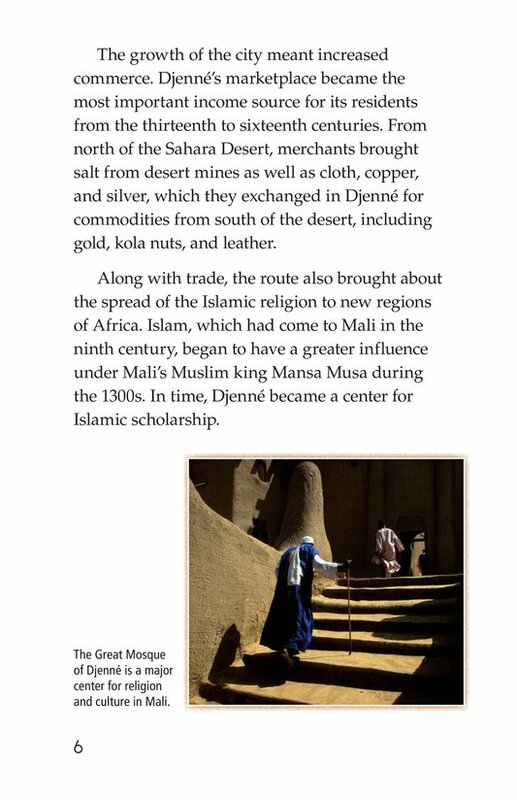 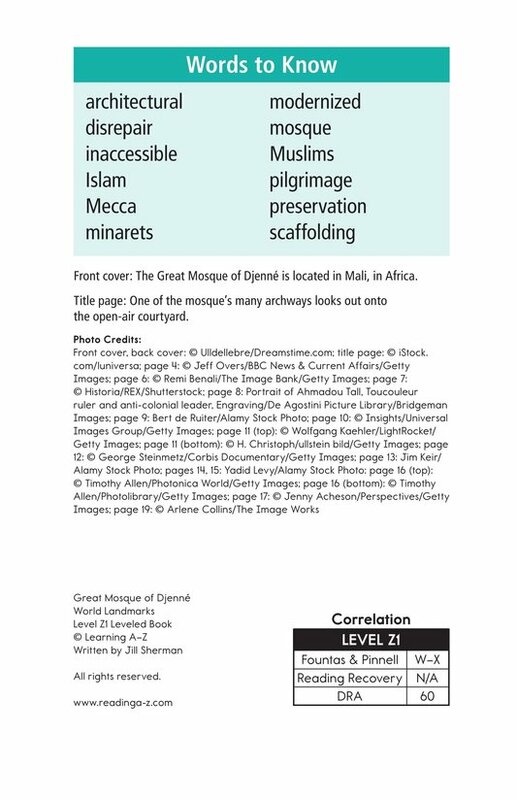 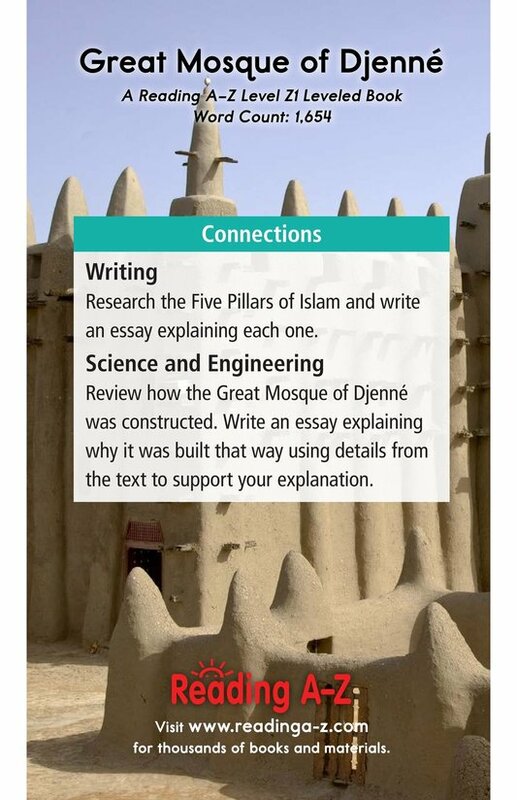 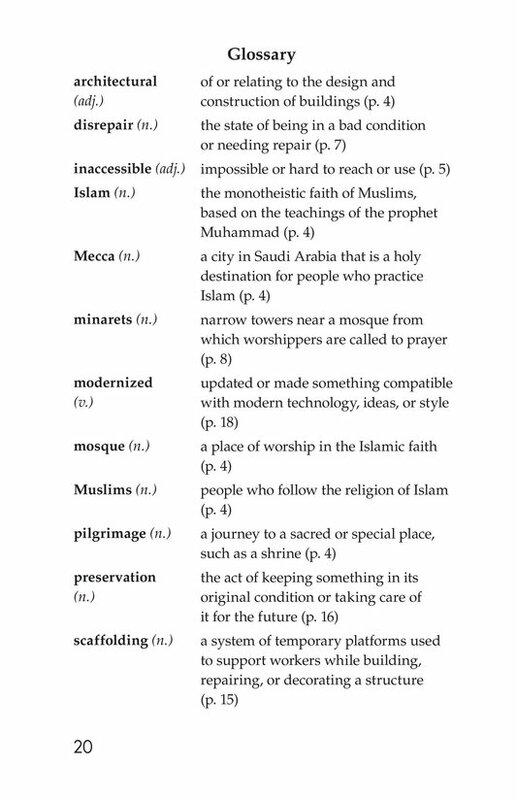 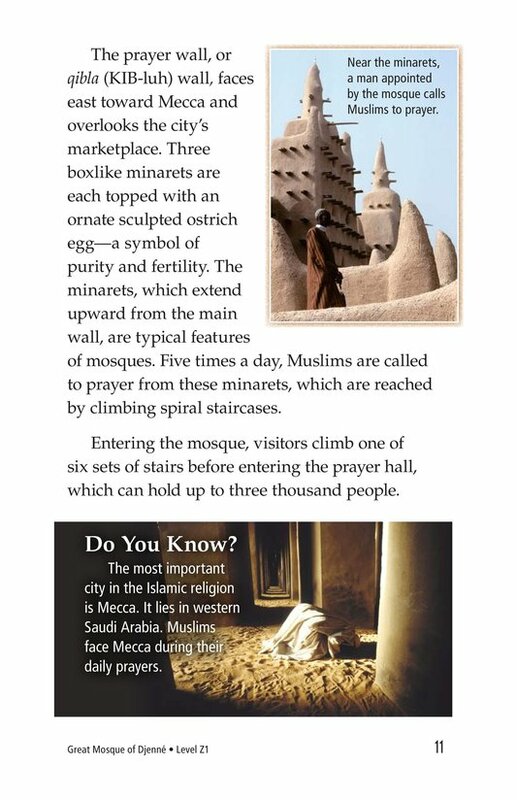 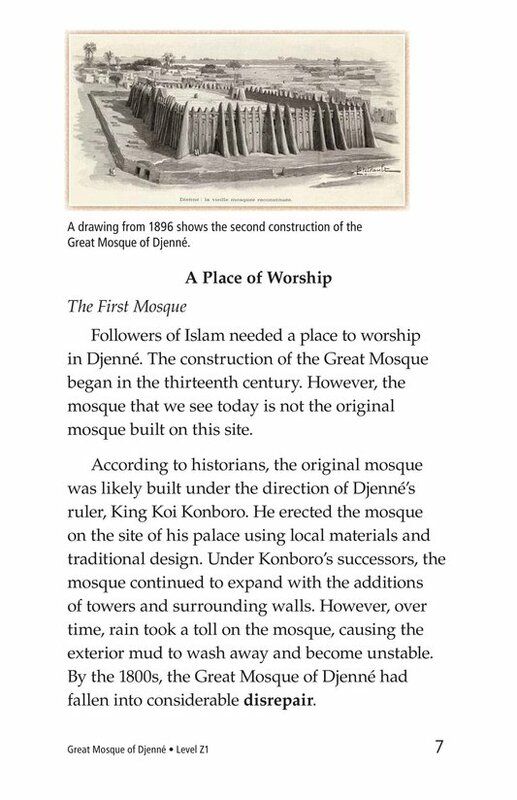 This book introduces students to the mosque's fascinating history, and to the history of Islam in the region.